In the Café of Lost Youth is vintage Patrick Modiano, an absorbing evocation of a particular Paris of the 1950s, shadowy and shady, a secret world of writers, criminals, drinkers, and drifters. The novel, inspired in part by the circle (depicted in the photographs of Ed van der Elsken) of the notorious and charismatic Guy Debord, centers on the enigmatic, waiflike figure of Louki, who captures everyone’s attention even as she eludes possession or comprehension. One of the reasons I am drawn to Modiano’s work is that I am in love with Paris of the 1950s. I love the films (Melville, Chabrol, early Godard), the philosophy (Sartre, Camus), and now, with Modiano, the writers—even though he is writing retrospectively about the period over the last decade. 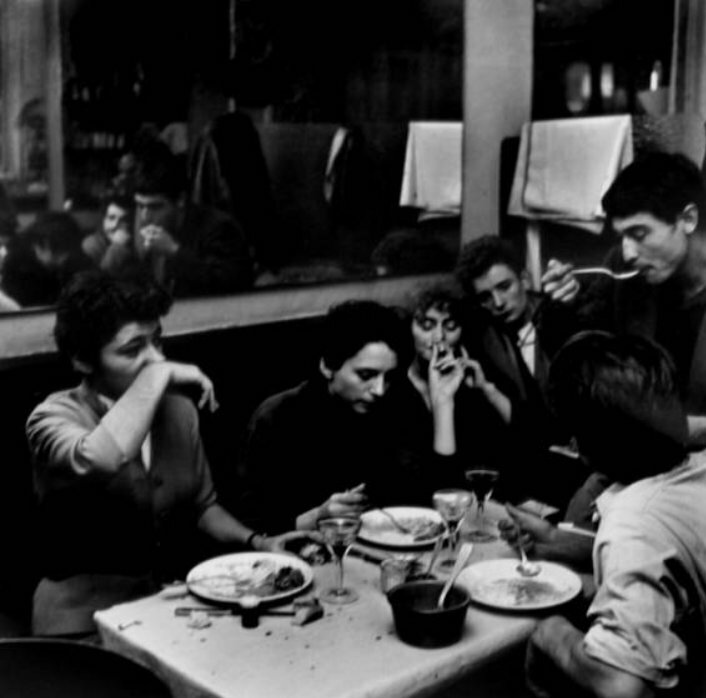 For more photos by Ed van der Elsken, click here.